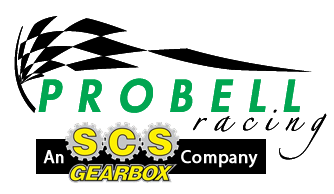 Posted July 27, 2018 by SCS Gearbox & filed under Monster Truck Shows, Monster Trucks. Few things are more exciting than going to a Monster Jam event. If an event is coming to a town near you, you should do whatever you can to see some of the most exciting and robust monster trucks in the world. And if you want to drop some knowledge on other attendees seated near you, here are a few interesting tidbits you can share. The trucks at Monster Jam trucks are bigger than you can imagine. You know that monster trucks are big. However, do you know how big they really are? Most of the Monster Jam trucks are 12 feet tall by 12 feet wide. They weigh at least 10,000 pounds, and in some cases, they weigh as much as 12,000 pounds. 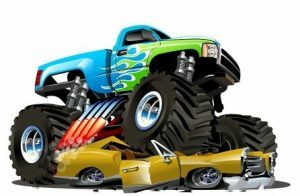 The tires on monster trucks are at least 66 inches high and 43 inches wide. And the engines that are jam-packed into monster trucks are custom-built and cost more than $50,000. All told, an entire monster truck costs about $250,000. Crews bring in a lot of dirt for Monster Jam events. In preparation for Monster Jam shows, crews spend upwards of three days and about 20 hours total hauling in dirt to create the tracks and courses for the monster trucks. It’s not uncommon to see Monster Jam crews bring in about 70 loads of dirt and plop them down on top of football fields, arena floors, and more. Monster Jam crews take the proper precautions to ensure that fields and floors are protected by putting down tons of plywood first. Monster Jam is more popular than ever before. Monster Jam and monster trucks are really enjoying a moment right now. There are about 4 million people flocking to Monster Jam shows every year. The shows are held here in the U.S. as well as in Canada and Europe. SCS Gearbox loves seeing the growth of Monster Jam. We supply monster truck owners with the parts they need to build them. Call us at 419-483-7278 today to get your hands on the parts we have to offer.